Rent villas and apartments in Naxos, Greece with private pools. Book affordable holiday rentals that are near a beach. The biggest island of the Cyclades, Naxos can offer a large variety of activities, places to visit and beaches to relax. Portara, the gate of a big temple. Elegant villa is a 3 level spacious villa with an internal staircase and large terraces that provide an amazing view of the Aegean sea and the unique cedar forest of Alyko. This cozy and bright villa is located in the wonderful Stelida area,only 3km away from Naxos town and 500m from the famous Agios prokopios beach. Tower Resort villa was created to provide everything! A precious jewel, built on the hill over Orkos beach, ideal for you and your friends or family that look for a perfect stay. Cosy house right on the sand of the beach. 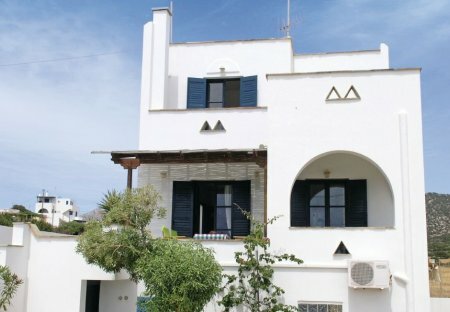 The property offers calm and secluded vacations as it is located at the east coast of Naxos a non touristic area.